This gorgeous screen printed floor pillow is a great way to add seating that's versatile and colorful. 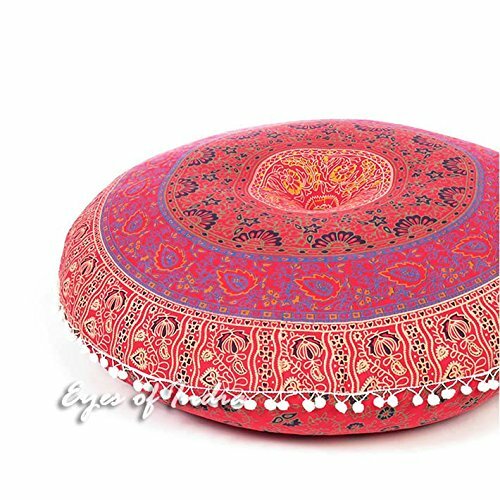 Rajasthani artisans fashion this bohemian style floor pillow from the mandala and medallion inspired tapestries that we also carry online. This pillow comes unfilled for easier and faster shipping. You can easily fill it with an insert, fabric scraps or any filler material of your choice. Toss a few pieces around to add more seating to any space.